The digital age is well and truly upon us and extends to dental treatment choices as well. Indirect restorations such as porcelain inlays, overlays, veneers and crowns can now be done on site. With our cad cam technology we are now able to offer our patients one appointment solutions for treatment that previously needed not only two appointments but also a break of 2 weeks between visits. 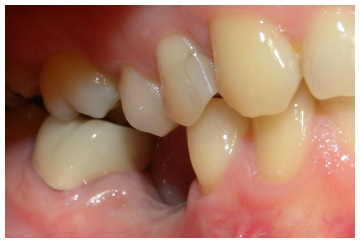 A Beautiful New Smile – In Just One Day! It’s incredible how technology has permeated so many aspects of our lives, to such an extent that we now expect everything to be faster, better and more efficient than ever before. Dentistry is keeping pace with this expectation, by creating state-of-the-art equipment that can provide beautiful new smiles in just a fraction of the time that was required before. CAD/CAM technology is the most exciting innovation to ever come to our practice. The acronym stands for: computer-aided design/computer-aided manufacturing. We are proud to provide this new technology’s benefits to our patients through the E4D Dentist™ system. The E4D Dentist™ system uses the latest technology and clinically proven materials to restore teeth – place crowns, for example – from start to a beautiful finish in only one day, often in one visit, instead of the two dental appointments usually necessary. Using the E4D, we can first scan the prepared tooth in your mouth or from an impression, virtually design the final restoration with CAD/CAM technology and then send the information, wirelessly, to our in-office milling station. The restoration is milled to the exact specifications in minutes. Once the restoration is created, we then place it in your mouth, adjust, characterize with color, and finally polish your restoration to a beautiful luster. CAD/CAM dentistry is ideally suited for producing highly esthetic all-porcelain crowns, veneers and even inlays, which are much stronger than regular fillings for restoring teeth. Soon, this technology will be available for producing porcelain bridges and all porcelain restorations, completely eliminating the need for temporaries and multiple visits. If you’re interested in seeing how the CAD/CAM technology works, we would be happy to show our E4D Dentist™ system and carefully explain the exact process. Please call us for more information and to find out if same-day dentistry is right for you!